The antiquities museum in Mosul, once home to priceless ancient Mesopotamian artifacts, has been retaken by Iraqi forces. 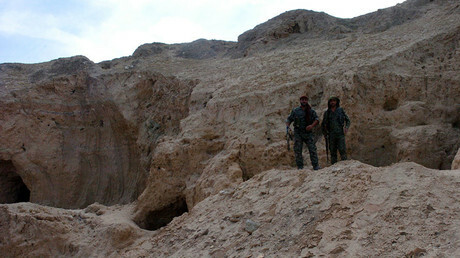 They found its valuable contents either gone or reduced to rubble. Troops from Iraq’s elite Rapid Response Unit advanced further into western Mosul on Tuesday, recapturing the provincial government headquarters, the central bank branch and the city’s antiquities museum, only to find all its remaining relics lying in ruins. Reporters from the Associated Press on the scene described the exhibition halls as being filled with only “piles of rubble” and “ankle-deep drifts of ash.” They said that among the things they saw there were remains of what could have been an ancient Assyrian bull statue and pieces of cuneiform tablets. “The museum is completely empty of all artifacts. They were stolen, possibly smuggled,” Major General Ali Kadhem al-Lami, of the Federal Police's Fifth Division, told Reuters. 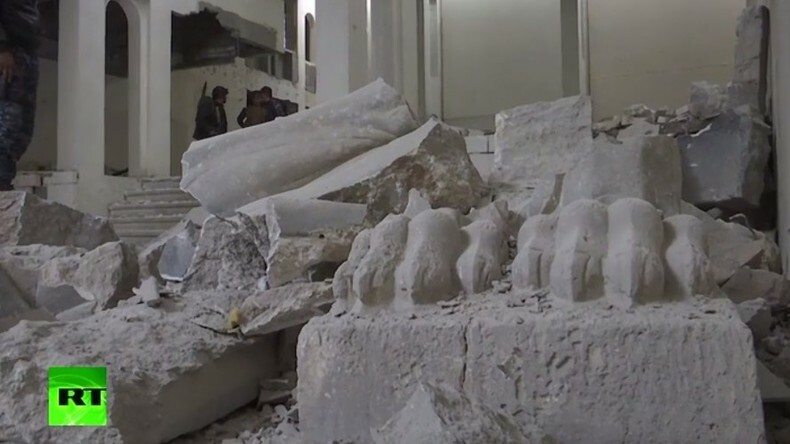 After its capture of Mosul in 2014, Islamic State (IS, formerly ISIS/ISIL) shocked the world by releasing footage of its militants smashing up ancient artifacts in Mosul, using sledgehammers and power tools. They are believed to be selling off the antiques they have not destroyed on the black market. "Mosul is the heart of Iraqi civilization," Federal Police Major and Mosul resident, Muhammad al-Jabouri, told AP. “When I heard how Daesh [an Arabic acronym for IS] destroyed this place, death would have been a greater mercy for me." Throughout its campaign of terror, IS has systematically demolished ancient monuments, temples, churches and even some mosques which don’t fit in with their radical religious ideology. "Daesh came to Iraq to destroy our heritage, because they don't have their own," Federal Police Cpl. Abbas Muhammad said. On Tuesday night, IS launched a counterattack on the government headquarters with a mixture of local and foreign fighters, as well as car bombs, but were repelled. According to Iraqi military officials, foreign fighters with families were ordered to retreat by the IS high command. Since October 2016, Mosul has been besieged by Iraqi forces, backed by Kurdish Peshmerga forces, Shiite militias and the US-led coalition, trying to drive IS out of the city. Prior to its capture in 2014, Mosul was Iraq’s second-biggest city, but has since been a stronghold of IS militants and one of their key bases of operations outside Syria. In January, the eastern half of Mosul was recaptured and operations to liberate the western side are ongoing. On Wednesday morning, local media reported the Iraqi army and Shiite militia groups had captured the Mosul-Kasik road leading westward toward the town of Tal Afar, an IS stronghold.